Calling all sports fans! Is your child a big sports fan? Then this themed fun jump is for you! Our Big Sports Pink Fun Jump shines a spotlight on football, basketball, baseball, volleyball, and soccer! 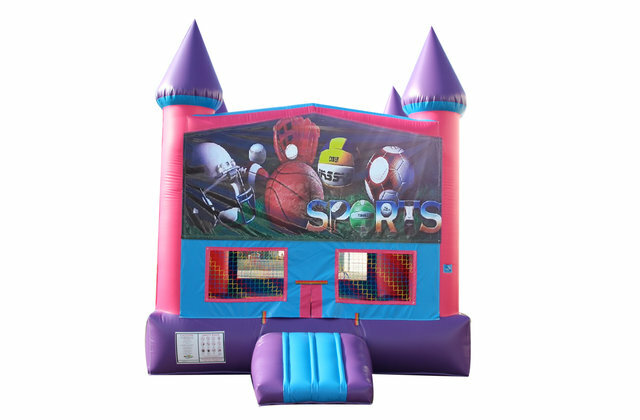 Your athlete will love this 15' x 15' fun jump, which offers up to 225 square feet of bounce area, and features a basketball goal (with two balls included) to keep them bouncing all day long! Mesh windows allow adults and spectators to see what's going on inside the inflatable, and a safety ramp at the entrance/exit allows for safe and easy access to the jump. 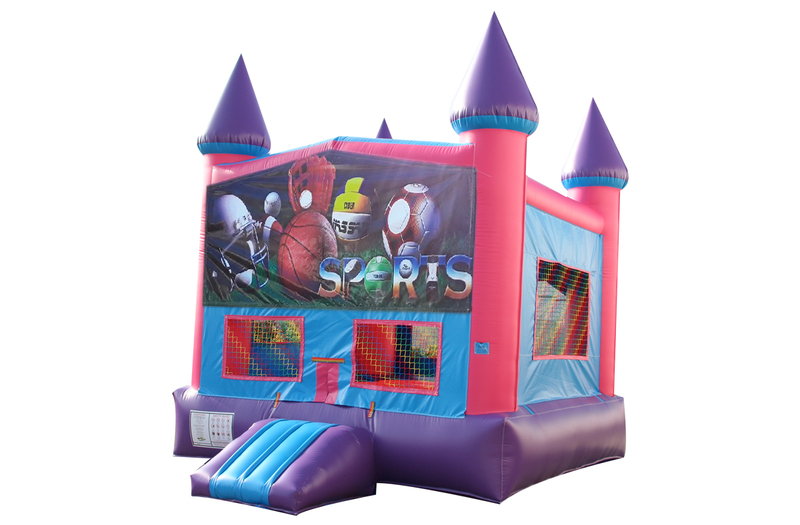 If your goal is to knock your next party out of the park, ace your party plans, and slam dunk your to-do list in the trash, then rent this Big Sports Fun Jump today! Got Bounce? 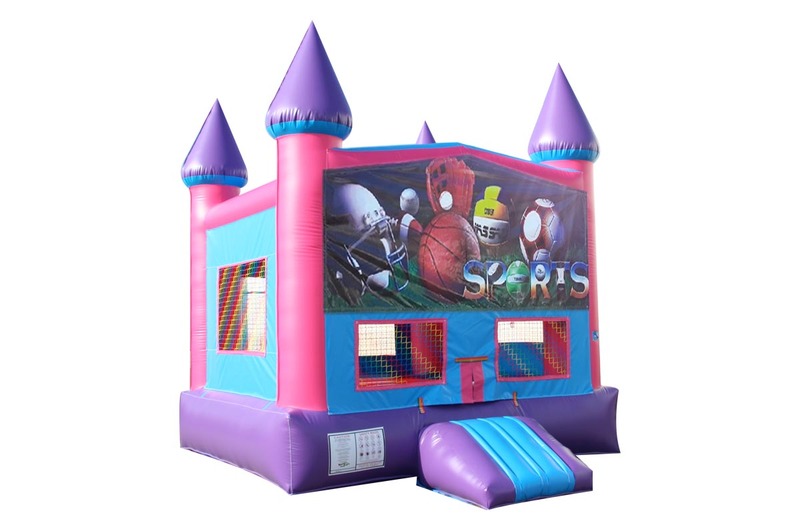 The Bouncing Buddies Big Sports Fun Jump is great for family entertainment, providing the most popular form of amusement for children. Bouncing also puts you in a state of health and fitness, improves your sense of balance, creates an aerobic effect for your heart, strengthens your muscles, and increases the capacity for respiration, resulting in better mental performance!